In a recent declaration, the Directorate of Technical Education (DTE), Maharashtra has decided to scrap the admissions to the engineering courses for students who had not taken the Maharashtra Common Entrance Exam (MHT-CET) 2016 and had got admission on the basis of JEE Main 2016. DTE has informed this to all the students who were allotted seats in Centralised Admission Process (CAP) Round 1 on the basis of their JEE Main 2016 marks. "It was an error from the CAP's side. We are now awarding seats according to the State Government's directives. 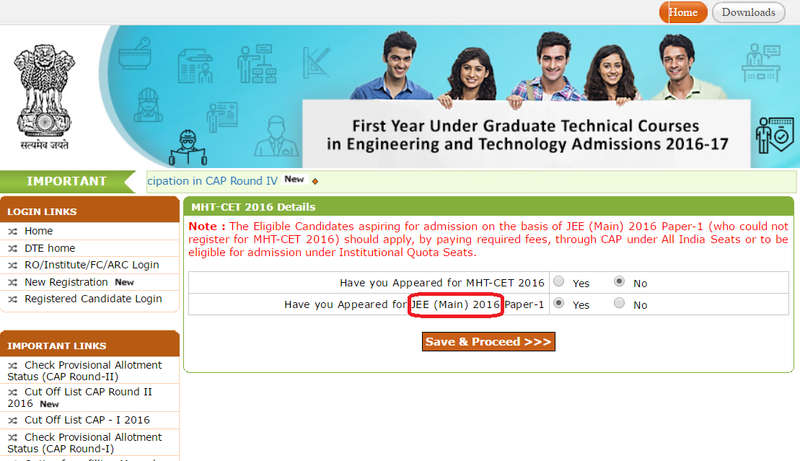 Primarily, we will allot seats on the basis of MHT-CET marks. Secondly, we will accommodate only those JEE students who had taken the MHT-CET 2016," said D S Meshram, Joint Director - DTE. DTE has allotted around 15% seats for admissions in the engineering colleges in Maharashtra through JEE Main score. "Students who secured admission through their JEE Main score and had also taken the MHT-CET test will be given preference in the fourth round of CAP, in the Other than Maharashtra State category (OMS)," said Meshram. This is not the only problem which engineering aspirants will have to face in Maharashtra, as the All India Council for Technical Education (AICTE) has gone to the Supreme Court seeking a ban on four engineering colleges in Maharashtra. A letter sent from the AICTE to the Directorate of Technical Education (DTE) has named Padmabhushan Vasantdada Patil Pratishthans College, Sion, Anjuman-I-Islam's Saboo Siddik College, Byculla, Thadomal Shahani College, Bandra and Dr. J J Magdum College, Kolhapur. The future of those students who have taken admissions to the above-mentioned engineering colleges will now depend on the decision of the Supreme Court.